Leasing to own your commercial dishwasher will save you thousands of wasted dollars on rent. When you lease to own you also receive huge tax breaks that you do not receive while renting. The best part is you aren't over paying for equipment more then 5x its actual value. We can get you set up on a lease to own program in a few minutes, give us a shot! 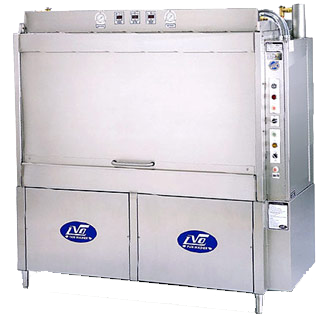 Low Temperature single rack dishwashers are hands down the most economical choice of all machines. This dish washer is capable of washing 37-40 racks per hour and will save you 40% on your labor. 85 % of all sold and leased machines in the US are low temp uprights. 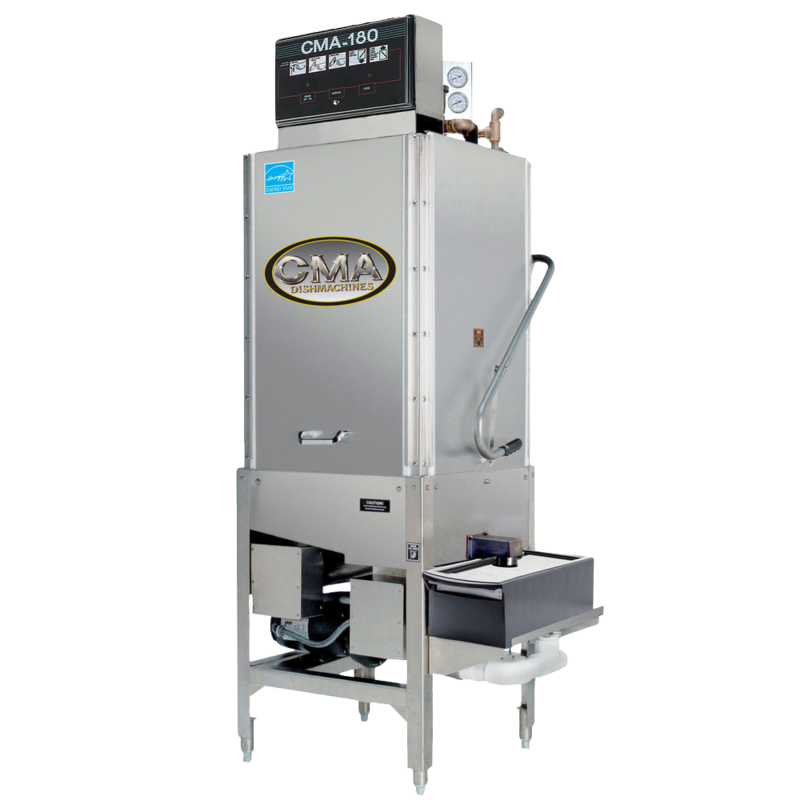 High Temperature single rack dish washers are capable of sanitizing at 180 degrees. This method of sanitation also means chlorine isn't necessary for the final rinse. High Temp machines are a sure bet if you want immaculate results every time you wash a rack. Under Bar or Under counter low temp dishwashers are great for smaller restaurants and under the bar applications. These machines wash almost the same amount of racks as uprights in half the space. 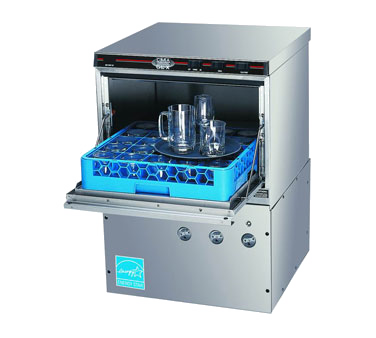 Under Bar or Under counter high temp dishwashers are great for smaller restaurants and under the bar applications. These machines sanitize at 180 degrees washing glasses and silverware spotless every time. Double Rack dishwashers can effectively wash 70-75 racks per hour using the least amount of energy, water and chemical. 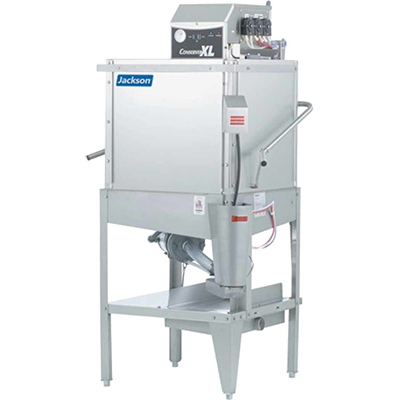 Double Racks have 2 wash motors and fit into the space of a conveyor making them a highly economical choice to consider. Pot and Pan dishwashers are necessary in bakery and other specific applications. These machines have 28-30" door clearances to wash taller wares. Great for bakeries and establishments washing sheet pans. Vent Less Dish Washers are becoming more popular Nationwide. States and Counties are getting more strict about the amount of steam allowed in the kitchen due to safety reasons. Unfortunately buying a commercial hood system can easily cost between $3,000-$20,000 so these machines are looking more and more attractive. 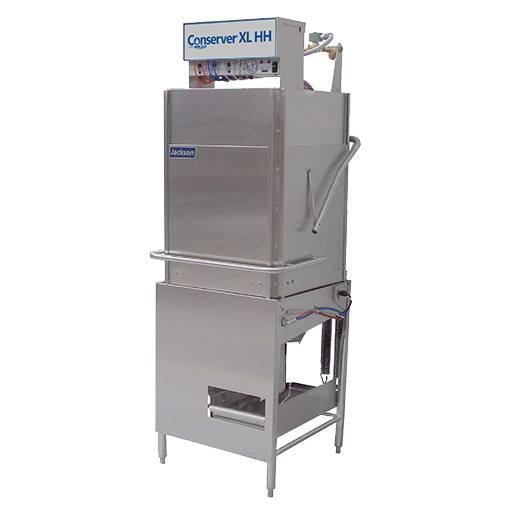 Low Temp Conveyor Dishwashers are the quickest and most efficient way to clean hundreds of racks per hour. Conveyors are perfect for larger restaurants and large commercial institutions. We have a vast inventory to choose from. Flight Machines are capable of washing over 11,000 wares an hour with less than 58 gallons of water. 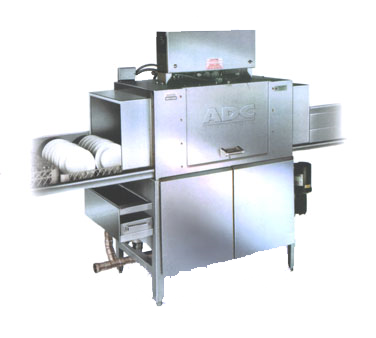 These dish machines are typically used in jails, convention centers and very large institutions. We have a lot of experience in flight type machines call today. 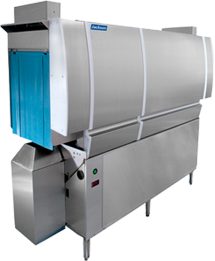 Large Commercial Pot and Sheet pan washers are a must if you own or operate a bakery, supermarket, hospital or any food service establishment that needs to wash 18 x 26 sheet pans or large pots. 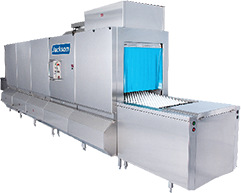 These machines can wash 10-100 sheet pans in very fast cycles. We offer affordable options, call today. Invest in your company and start saving money with us. Call us anytime at 888-980-6951 so we can get you a new dishwasher on a lease to own program today! Your average commercial Dish Machine today will run effortlessly over 12-15 years with good preventative maintenance. 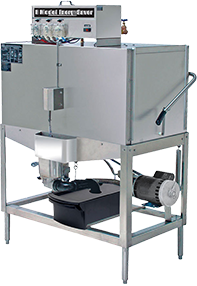 Any qualified, local chemical company in any state or near your business will gladly service your dish machine basically free of charge as long as you purchase sanitation chemicals from them. Why rent forever?